Your Mixlr livepage is a unique webpage which your listeners can visit to hear your Mixlr broadcasts, follow you, and chat with other listeners. This article will walk you through the different features of your Mixlr livepage. You can personalize your Mixlr livepage by adding a profile picture to your account, adding an artwork image, and by adding a biography and links to any external websites you own which you'd like your listeners to visit. Click here to find out how to personalize your Mixlr livepage. Listeners who follow you on Mixlr will be alerted via email and mobile app push notifications whenever you start a broadcast. 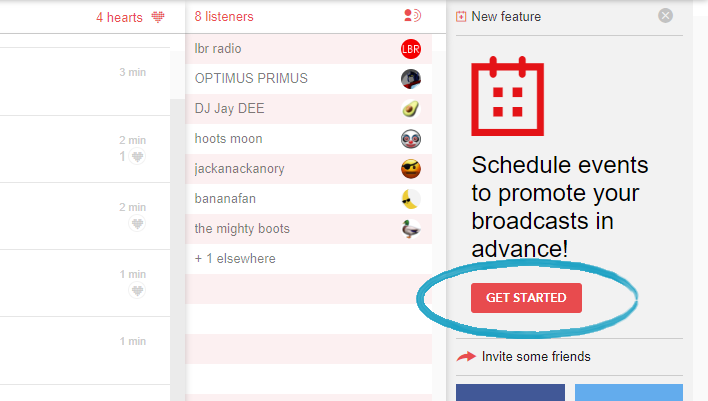 Your listeners can follow you by clicking the red '+FOLLOW' button on your livepage. 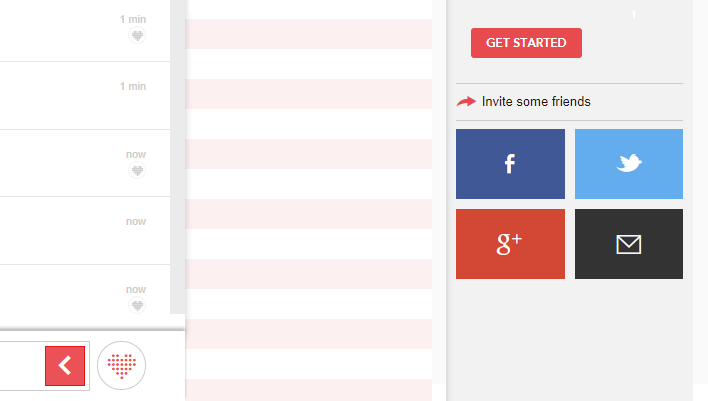 TIP: you will not see the '+FOLLOW' button on your own livepage. 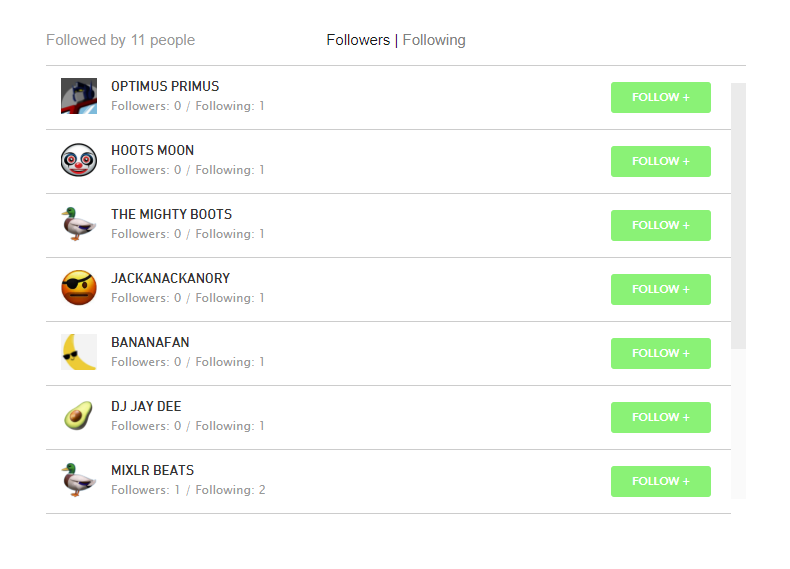 You can see who follows you, and who you are following, by clicking on the ‘Followers’ link under your artwork image. This will bring up a list of your followers. 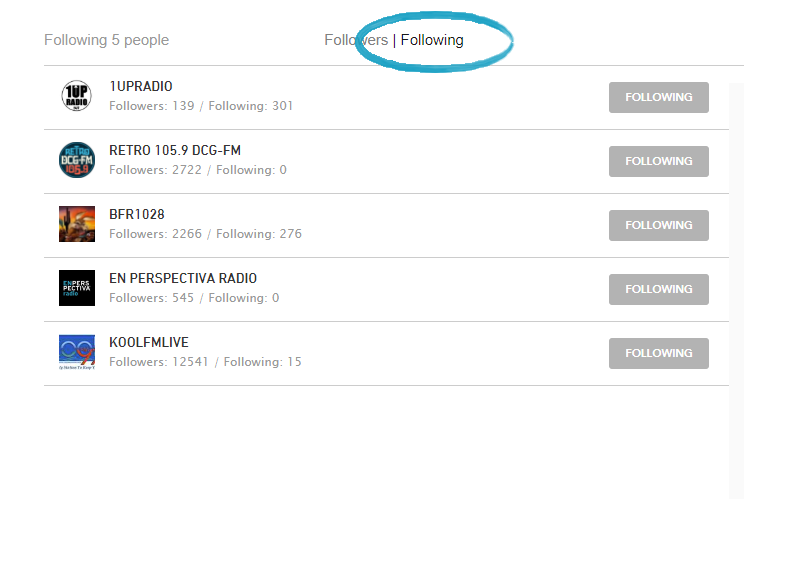 Click 'Following' to see a list of the broadcasters who you are following. 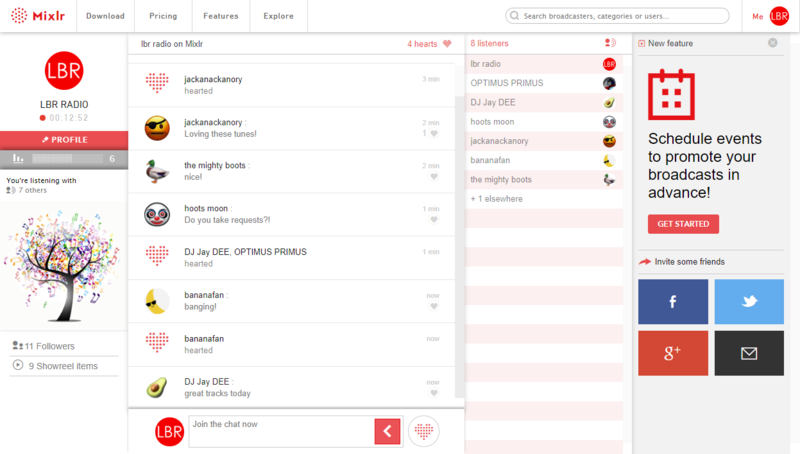 On the right hand side of your livepage you can see information about your current listeners. Mixlr lists the current number of listeners as well as their Mixlr usernames and profile picture if they’re logged in while listening. If you see ‘+listeners elsewhere’, this refers to anyone listening that isn’t logged into Mixlr, or anyone who is listening to your broadcast on an external webpage via your Mixlr live player or your live stream URL. Click here to find out more about your Mixlr live player. Click here to find out what you can do with a live stream URL. You and your listeners can share your live broadcast on social media or via email by using the buttons on the right side of your livepage. 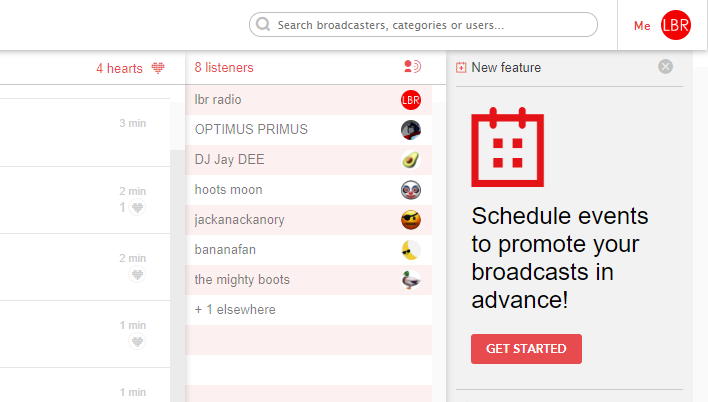 You can also create an event and share that with your friends and followers to promote your upcoming broadcasts. Click here to find out how to create an event. 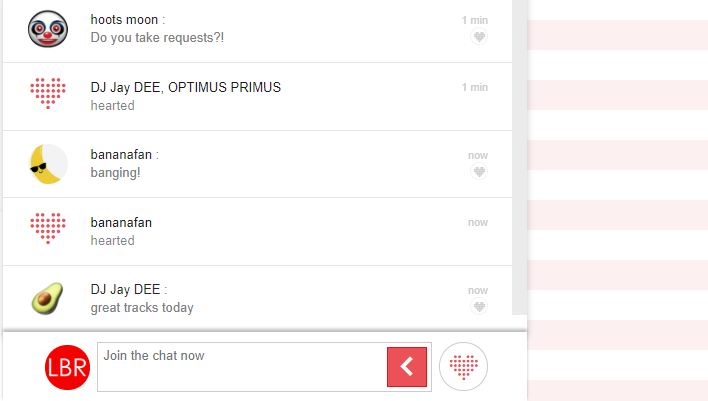 Every livepage includes a chat section. 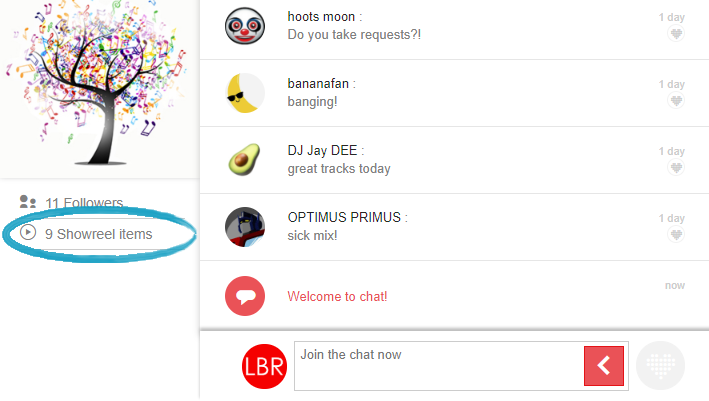 You and your listeners can use the chat section to have a live conversation during your broadcasts, and your listeners can use the heart button to let you know when they're enjoying the show. TIP: if you are using the playlist channel inside the Mixlr desktop app the name of the current track playing will display inside the chat section. Click here to find out how to use the playlist channel. 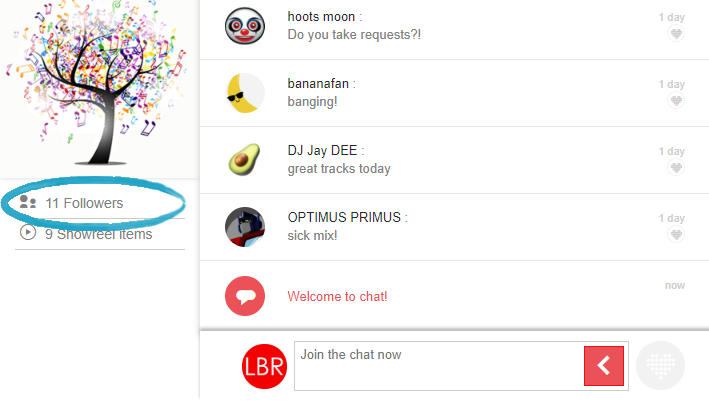 If you don't want your listeners to chat during your broadcasts you can disable chat. Click here to find out how to disable chat. When you publish a broadcast with Mixlr it will be stored in your showreel. Your fans can access your showreel from your livepage by clicking on ‘showreel items’ located below your artwork. Click here to find out more about publishing your broadcast recordings to your showreel.